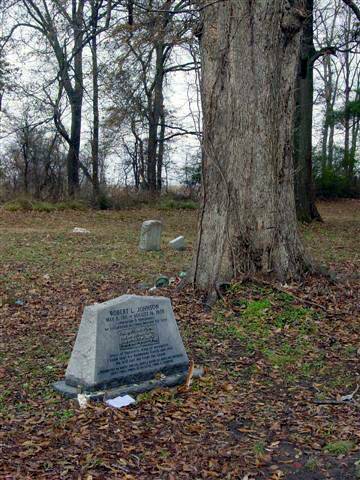 As revealed by the research of Stephen LaVere, this tombstone north of Greenwood on Money Road is the most likely of Johnson's multiple burial sites to mark his actual grave. time of his death, not the location of his death or his last performance. 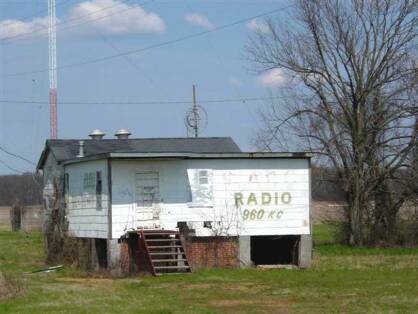 A photograph of this old radio station north of Greenwood on Money Rd appears in the pages of Bill Wymans book, Blues Odyssey. "Three Forks Juke," location of Johnson's final performance and, supposedly, his poisoning. 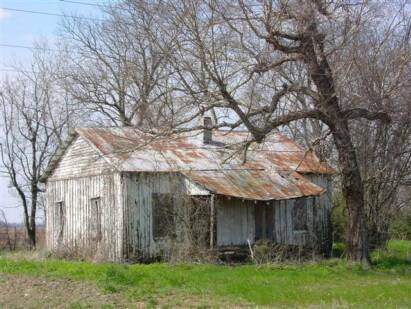 An abandoned old house down the road toward Tallahatchie Tavern from Johnson's grave. 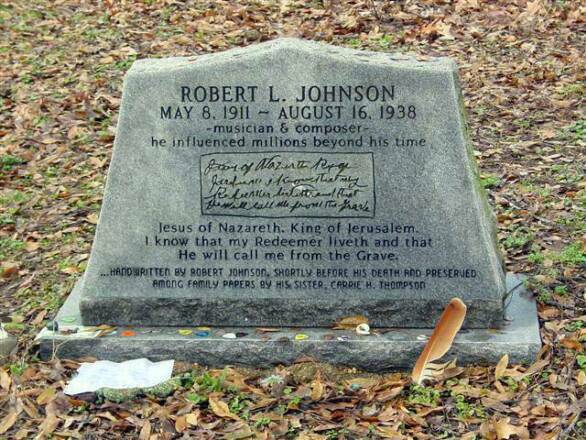 Robert Johnson was born May 8, 1911, in Hazlehurst, Mississippi, to Julia Dodds and Noah Johnson. After living a short while in Memphis, TN, he spent most of his younger years living in Robinsonville, MS, on the Abbay & Leatherman Plantation. As a youngster, he fooled around with the harmonica some, but didn't take up the guitar until the late 1920s when he was influenced to do so by Son House and Willie Brown who regarded him at that time as somewhat of a pest. Son House stated, "We'd all play for the Saturday night balls, and there'd be this little boy hanging around. 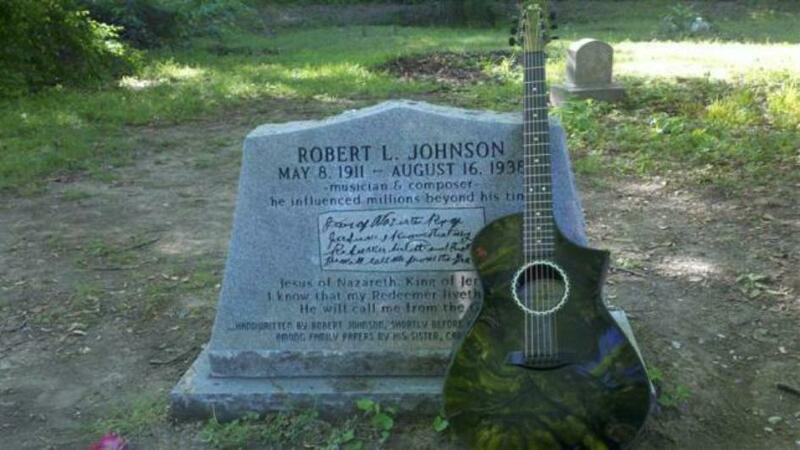 That was Robert Johnson. He blew a harmonica then, and he was pretty good at that, but he wanted to play a guitar. He'd sit at our feet and play during the breaks and such another racket you'd never heard." Son scolded him, "Don't do that, Robert. You drive people nuts. You can't play nothin'." Johnson married Virginia Travis in Penton, Mississippi, in February 1929. He lost both his sixteen-year-old wife and baby in childbirth in April of 1930. 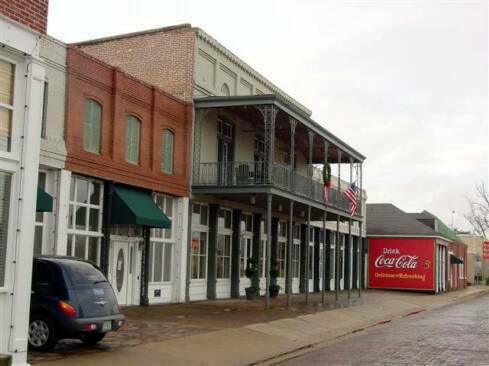 He returned to Hazlehurst where he studied blues guitar under Ike Zinnerman. Zinnerman was evidently accomplished on the instrument, but he was never recorded. Not much is known of him other than that he was born in Grady, AL and that he told his wife that he learned guitar by practicing sitting on tombstones at night in the graveyard. Also while in Hazlehurst, Johnson met Calletta "Callie" Craft, ten years his senior and mother of three small children. They were married at the Copiah County courthouse in May 1931. Once he thought he was ready to begin his life as a bluesman, he packed up Callie and the kids and traveled to the delta. Callie, however was not a strong, healthy woman. She became ill in Clarksdale and called for her family to come get her and take her back to Hazlehurst. Robert, evidently, had deserted her. Neither she nor her family ever saw Johnson again and Callie died a few years later. 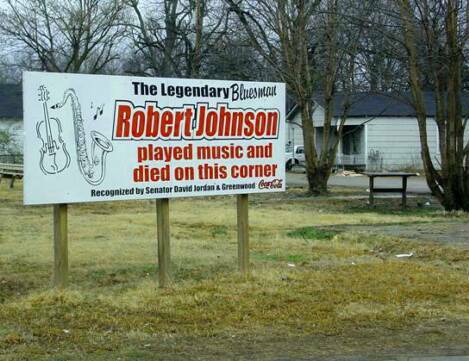 Robert returned to Robinsonville where he encountered Willie Brown and Son House. He astounded the bluesmen with his improved abilities. Son House said, "When he finished all our mouths were standing open. I said, 'Well, ain't that fast! He's gone now!'" This quick, unexpected improvement of ability gave rise to the idea that he had made a pact with the devil, a myth that Johnson was quick to exploit. He spent some time in Helena, AR, a wide open gambling and drinking town and a hotbed of blues performers in those days. There he met most of the well-known bluesmen of the day and influenced most of them. He didn't stay in any one place for very long, however. It seems that traveling was an end unto itself for him. He was always ready to go anywhere. By the mid-'30s, he had been a professional bluesman for quite a number of years. 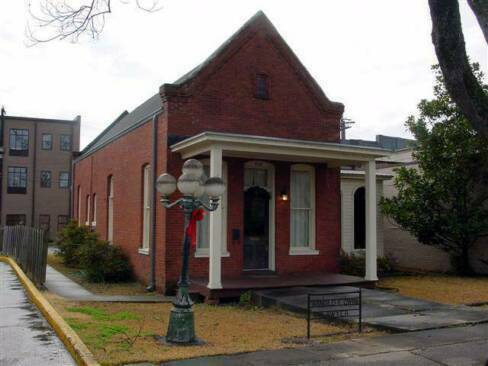 He contacted H.C. Spiers in Jackson, MS. Spiers had a record store and a small recording studio. He was also somewhat of a talent scout and quite a number of musicians had recorded for Paramount on his recommendation. He had just entered into an agreement with American Record Company, and after Johnson auditioned with him, he put him in touch with Ernie Oertle of that company. Oertle decided that Johnson would record in San Antonio. In November 1936, Johnson recorded a number of tunes, including "Terraplane Blues" which probably got the most radio play during his lifetime. He returned to record more tunes in June of 1937. In all, he recorded 29 tunes, some with more than one take. In the company of Johnny Shines or Honeyboy Edwards (Honeyboy's bio is at the bottom of this page. ), or alone, Johnson traveled and played the rest of '37 and into '38. He played in Memphis, Chicago, Decatur, IL, St. Louis, and Detroit. He traveled to the east coast playing mostly in New York and New Jersey and returned to the delta through St. Louis and Memphis. 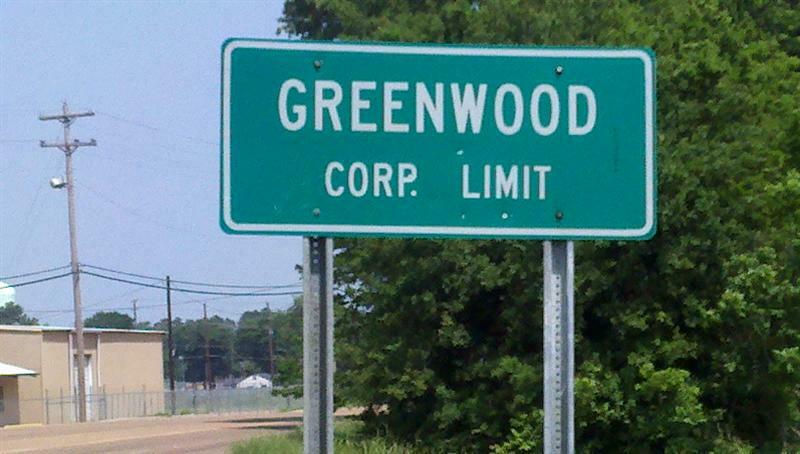 In July of 1938, he traveled with Honeyboy Edwards where he played outside of Greenwood, MS in Three Forks at the junction of US 49 and US 82. He had been spending time with the wife of the juke's owner and it is thought that man, in his jealousy, gave Johnson some poisoned whiskey. Johnson became quite ill and was taken to the boarding house in which he had a room. Later he was taken to a home on the Star of the West Plantation where he could receive better care. He survived the poison, but in his weakened condition succumbed to pneumonia and died on Tuesday, August 16, 1938. The festival included this panel discussion of Robert Johnson by seven noted blues historians. 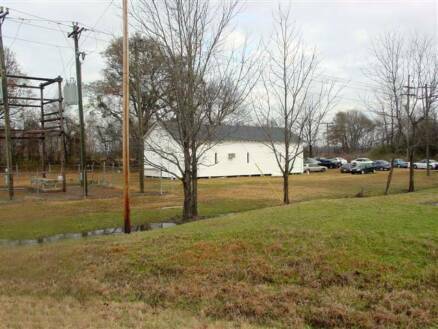 It was held at Tallahatchie Tavern, about a quarter mile from Robert Johnson's gravesite on Money Road. From left to right is author, blues historian and blues producer Stephen LaVere, historian and blues performer Vasti Jackson, blues historian Scott Barretta, blues historian Dr. Sy Oliver, blues historian and Chief Federal Judge (U.S. District Court, north Mississippi) Michael P. Mills, blues historian and performer Scott Ainslie and blues historian and panel moderator Jim O'Neal. My favorite brew from Mississippi's first, and at the time of the photo, only brewery, Lazy Magnolia. This is a nut brown ale actually made from roasted pecans. Vasti Jackson was one of the discussion panel members and, at that time, played a fine version of Terraplane Blues on a steel resonator. On stage, fine blues licks flowed out of his Strat like white lightning from a brown jug. 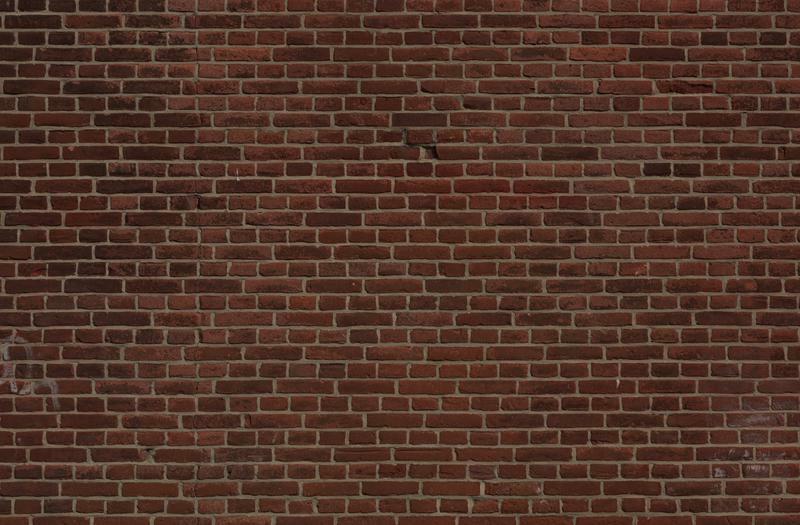 He was excellent! This woman and her husband came all the way from Oregon. Keb Mo' by himself with an acoustic guitar... my favorite way to hear him. The music was IN him! 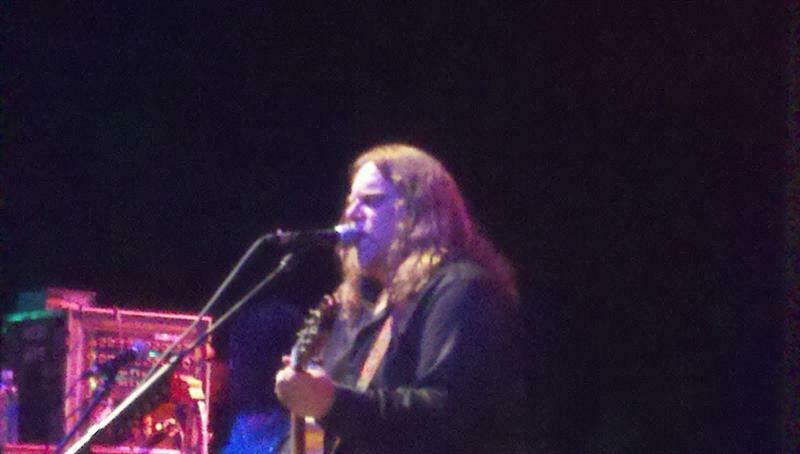 The Warren Haynes Band shut it down....SMOKIN'! Takin' a break on my ride home. It was a fine five days and a great time was had by everyone I saw. One cute li'l Delta girl. 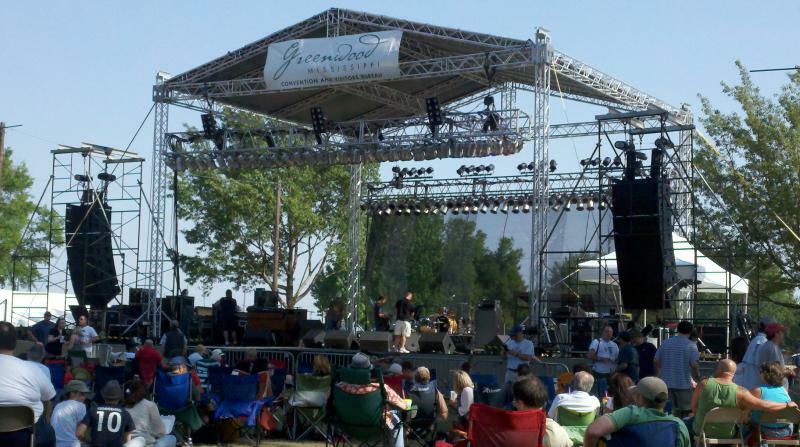 Concerts were held in Whittington Park Friday evening and Saturday afternoon/evening. Concert performances began a little after 3:00 Saturday afternoon and continued until almost midnight. 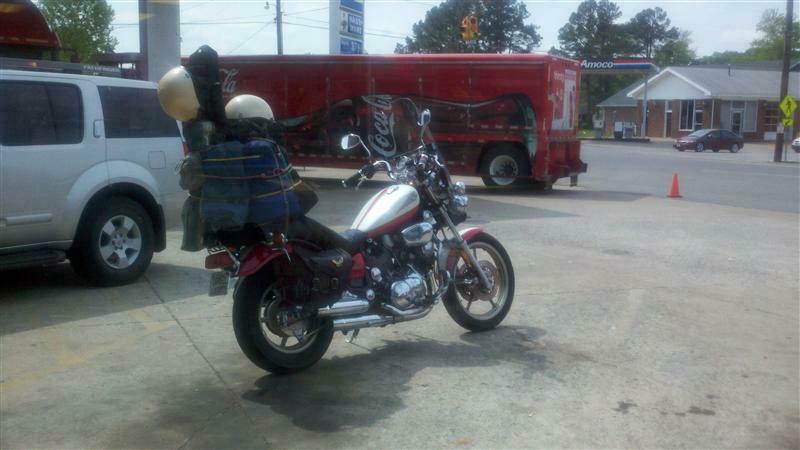 Since the only beer available was made by Anheuser-Busch, I was in good shape to ride my motorcycle. Honeyboy Edwards, who was with Robert Johnson the night he was thought to have been poisoned, was orginally slated to perform at this event. However, at age 95, he was suffering from pneumonia. As of May 7, he had been released from the hospitlal but was still in serious condition. He died August 29, 2011. Hubert Sumlin, best known as the guitarist for Howlin' Wolf (1953-1976), was reported dead of heart failure in a Wayne, N.J. hospital at age 80. Born in Greenwood, Mississippi, Sumlin migrated to West Memphis where he played with James Cotton (who later played with Muddy Waters) until hired by Wolf and moving to Chicago. Sumlin's unique guitar work can be heard in many of the Howlin' Wolf blues tunes such as "Ain't Superstitious," "Smokestack Lightning" and "Spoonful." He is ranked forty-third on Rolling Stone Magazine's list of the one hundred greatest guitarists of all time. He was an inspiration to hundreds of guitarists, from Stevie Ray Vaughan to Jimi Hendrix. Hubert Sumlin had a successful solo career after Howlin' Wolf's death in 1976. He was a kind, gentleman and very supportive of young, beginning guitarists. Beloved by the musician community and blues musicians in particular, he will be missed by many. Honeyboy was born in Shaw, Mississippi. He left home to travel with Big Joe Williams (see Crawford page) and continued traveling and busking for two decades. He was friends with Tommy Johnson, Charlie Patton, Big Joe Williams, Johnny Shines and Robert Johnson, as well as many other notable bluesmen of his time and afterwards. He was with Robert Johnson when he was supposedly given poisoned whiskey by the Three Forks Juke owner outside of Greenwood, Mississippi. His account of Johnson's death is the most widely accepted source for that event. Honeyboy was recorded in Clarksdale by Alan Lomax in 1942. He was known and loved by fans and musicians on both sides of the Atlantic and around the world. He is the author of The World Don't Owe Me Nothin, chronicling his life as a bluesman. There is an accompanying CD of the same title. Honeyboy died at his Chicago home of congestive heart failure, a day on which he had been scheduled to play in Chicago at Millennium Park. A quiet and attentive group for the discussions.